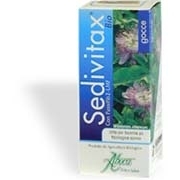 BonyPlus Cavifix is a temporary composite cement that seals lost fillings or cavities and allows you to temporarily replace dislodged fillings. 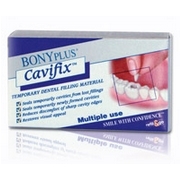 BonyPlus Cavifix helps to stop the growth of existing or newly formed cavities. 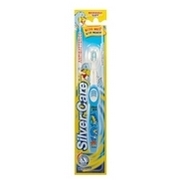 This product removes any irritation due to cavities or sharp edges which has been caused by the dislodged filling. If the filling is not replaced, the open gap is more prone to future bacteria that causes cavities and pain due to exposed nerve endings. With it's soft consistency and premixed cement, BonyPlus Cavifix is very fast, easy and precise to use and can be easily removed by your dentist (contains the same ingredients the dentists use for emergency use). The loss of a filling in between dental check-ups can be quiet irritating since the gap created by the absent filling can cause sharp edges to the tooth that can rub against the inner cheeks.